Bring an eye catching rustic look into your home or business with this Elk Antler Inverted Pendant Light. 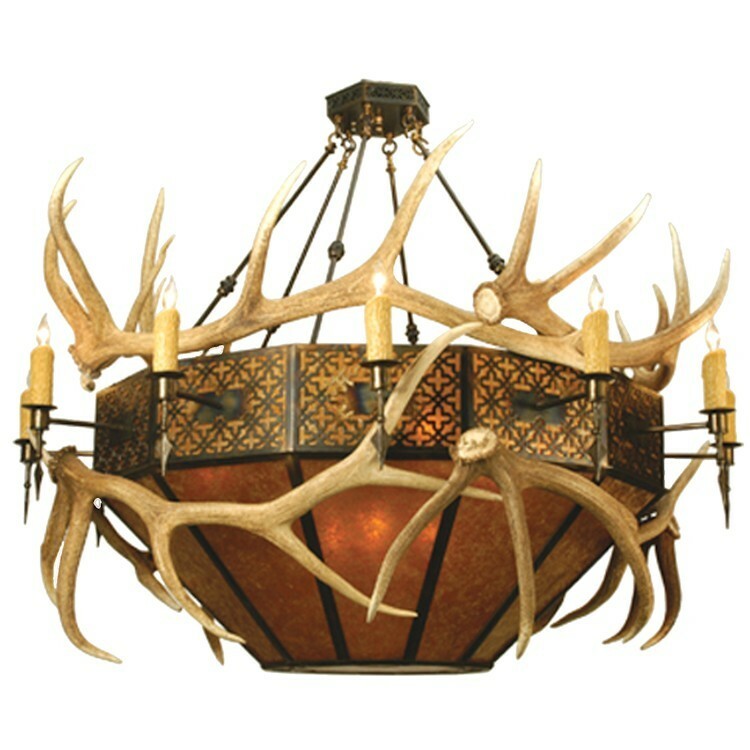 The authentic natural elk antlers are artistically applied to accent the warm amber mica shades. The shade is trimmed with an intricate filigree design in an antique copper finish to match the rest of the hardware. Size: 68" W x Hanging Height of 56.5 - 181"